Among the unobtrusive but devoted souls who have proved a source of strength to village Methodism, a worthy place must be given to the late Mrs. William Stone of Langthorne near Bedale. She was a daughter of the well-known John and Isabella Hobson, (whose connection with Primitive Methodism dated from the time that the Rev. 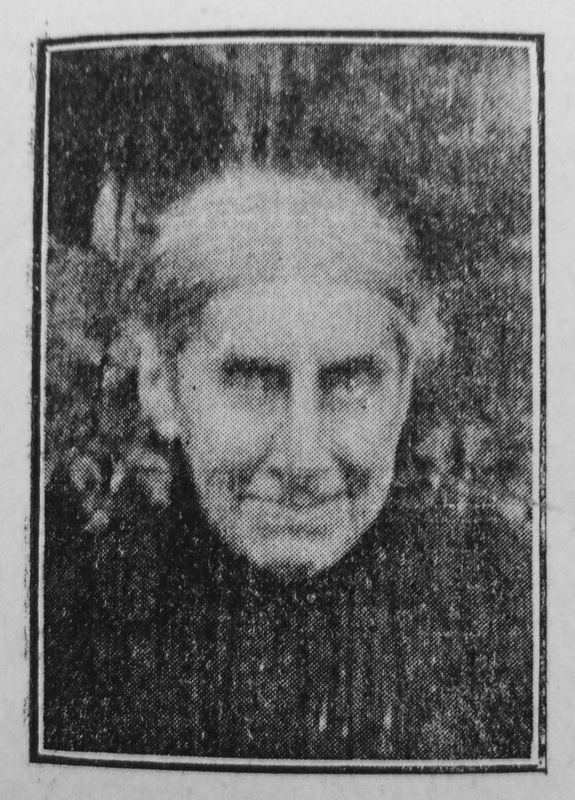 Joseph Spoor missioned Langthorne,) and a sister of the late Mr. William Hobson, who was for many years honourably connected with Primitive Methodism in the Bedale Circuit. Born at Langthorne March 27th, 1833, our sister was early taught to fear the Lord, and was brought up to attend the services in connection with the Established Church. Her conversion, however, in 1846, took place in a Primitive Methodist class-meeting. Her body was laid to rest in the Croakehall cemetery by the side of that of the late Mr. William Hobson, a largely attended service being previously conducted in the Langthorne Chapel by the Circuit Minister, the Rev. W. Skelson. To these tributes the writer would like to add his own, for he has often found it to be a means of grace to breathe the atmosphere of her home. She was one of those souls that make one feel what a glorious reality religion is. Her beautiful humility seemed almost an alien thing in these times of ambition and self-seeking. How courageous she was too! The writer has known her many a time wend her way to the little sanctuary when every step she took was in pain. Thank heaven for such souls as Mrs. Stone! They not only infuse strength and inspiration into the minister but, quite unconsciously, they enrich and ennoble the Church in its entirety. If only the Church could produce more of them the attacks of scepticism would be repelled more effectually than by volumes of argument. It is cheering to know that Miss Stone is faithfully seeking to carry on her mother’s work, and that the memory of her mother’s life is a constant source of inspiration to her. May she be kept faithful till the morning of re-union. Mary was baptised on 28 July 1833 at Bedale, Yorkshire. Her father, John, was a farmer of 33 acres in 1851. Mary married William Stone (1833-1890), a land agent’s clerk, on 16 October 1862 at Crakshall, Yorkshire. Census returns identify one child.